I had a blast working with this week's Pencil Lines' sketch. I pushed everything over to have enough white space to add this journaling. When my son was born, I really looked in all my baby pictures trying to find at least one that showed me we looked like each other. Here was this bright red headed baby that looked just like his daddy... I got a little jealous. 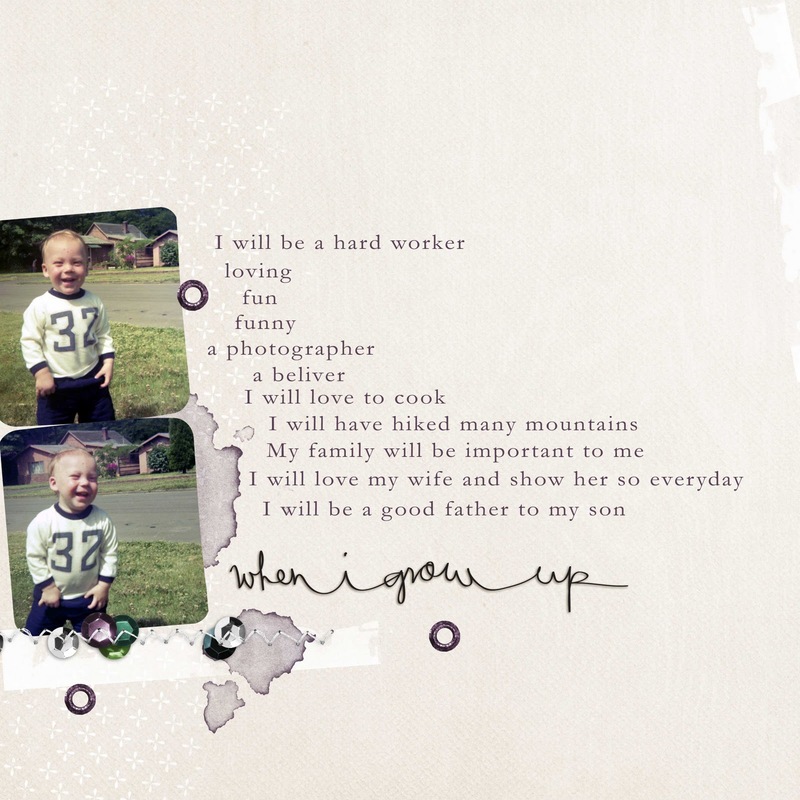 ;) The photos of my husband in this digital layout look exactly like my son. They have the same laugh and expression. Later, I did find some photos that looked like Ethan. I actually have a few two year old pictures that looked liked Ethan when he was an infant. LOL! I was a preemie and he was small for like... two weeks. He hasn't stopped growing since! Create Well: Journal prompt - write about how much someone has "grown up" or changed as they have grown.